Please join us for a celebration of spring, coffee, art and summer camp. 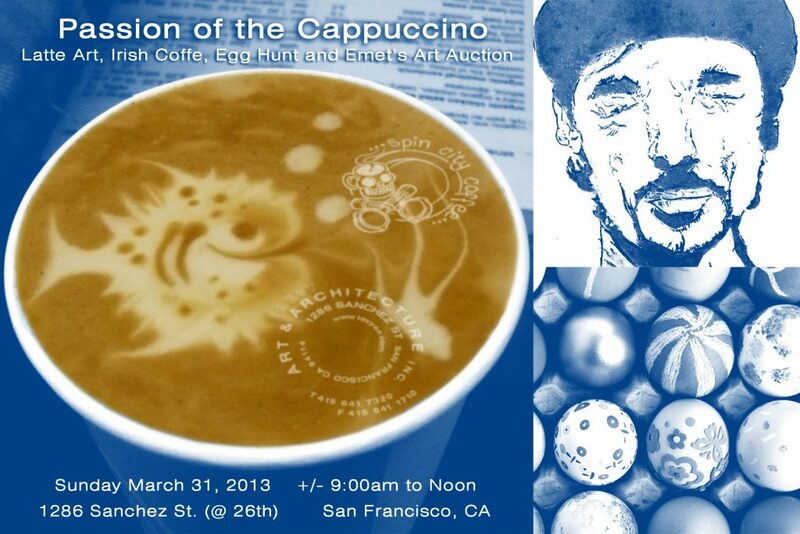 This Easter morning event will feature the latte stylings of Daniel Krasnor, a uniquely talented barrista with a repertoire of over 60 cappucino-top designs. We will also be opening our gallery which is currently showing a selection of works by local artists. They have donated their talents in support of Emet Levy and his mitzvah project that benefits Camp Winnarainbow’s Grace and Joy Scholarship; all proceeds benefit the camp which is a 501 (c) 3 non-profit. Finally we will host an Easter egg hunt for the little ones.